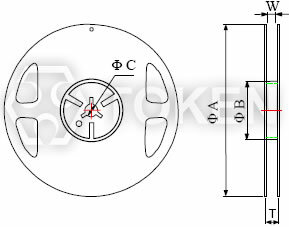 Token Chip Current Sensing Resistor (CS) save space and weight. 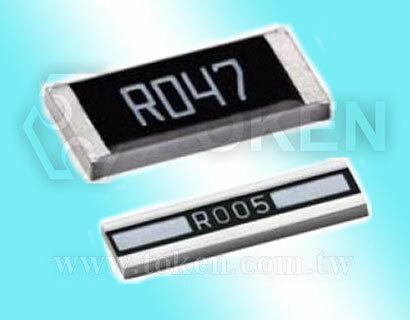 Token Electronics has launched the CS series, a family of ultra small low value surface mount curren sensing resistor. These smaller sizes save space on the circuit board, allowing the production of smaller and lighter products. The new series complements Token's existing LRC Series, offering metal resistive film on ceramic construction but providing increased choice for product designers in the form of more smaller sizes options of 0201, 0402, 0603, 0805, 1206, 2010, 2512, 1225, 3720, 7520, and 0612. 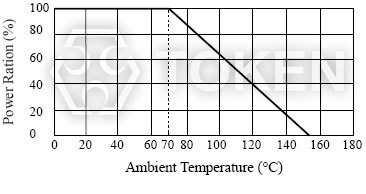 The series offers ohmic values as low as 1mΩ to minimise power consumption and has an ambient temperature range of -55°C to +155°C. Exhibiting a resistance range up to 8000mΩ and excellent heat dissipation qualities, the series offers designers enhanced power handling capabilities and protection from the threat of localised heating, resulting in the production of a more energy efficient product. As demand continues to grow for reduced size, handheld and portable devices operating at low voltages, designers will look to manufacturers to produce smaller and smaller current sense resistors. 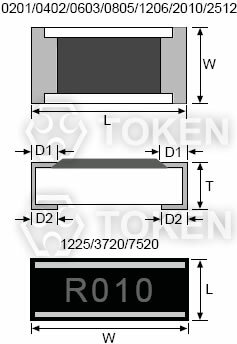 Token expects that demand for its latest range of small size resistor will be high. Contact us with your specific needs. Downloads Complete Specification PDF (CS) Chip Current Detecting Chip Resistor. Products with Pb-free Terminations Meet RoHS Requirements. 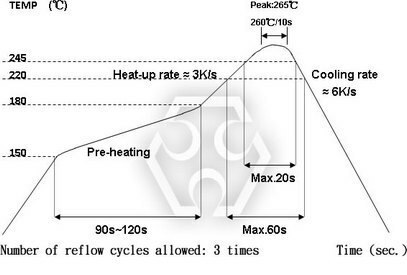 Low TCR of ±100 PPM/°C. 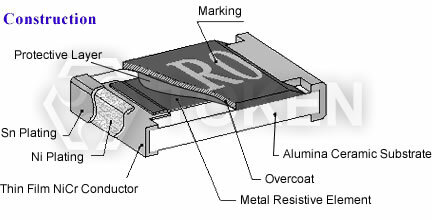 Resistance Values from 1mΩ to 8000mΩ. 3W Power Rating in 1W size, 1225 Package. 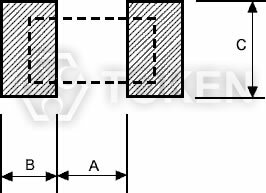 Long size Terminations with Higher Power Rating. Battery Pack, Charger, Disk Driver, Over Current Protection in Audio Application. Adaptor, DC-DC Converter, Switching Power Supply. Voltage Regulation Module (VRM). Portable Devices (PDA, Cell phone), Automotive Engine Control, Power Management Applications. Optional specifications can be required. RCWV*2.5 or Max. Overload Voltage whichever is less for 5 seconds. 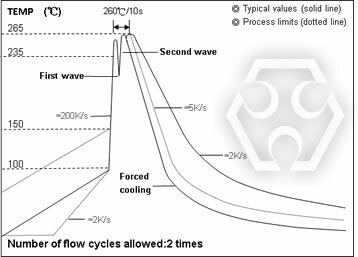 70±2°C, RCWV for 1000 hrs with 1.5 hrs “ON” and 0.5 hrs "OFF"
40±2°C, 90~95% R.H., RCWV for 1000 hrs with 1.5 hrs "ON" and 0.5 hrs "OFF"
Rated continuous Working Voltage (RCWV) = √ Power Rating × Resistance Value (Ω)or Max. Operating voltage whichever is lower.